Please note that Iain’s Dunbar and North Berwick advice surgeries on 14th December have been cancelled. 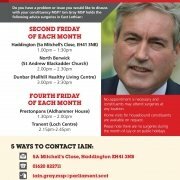 If you were planning to see him on that day please phone his office on 01620 822711 instead to make an appointment. 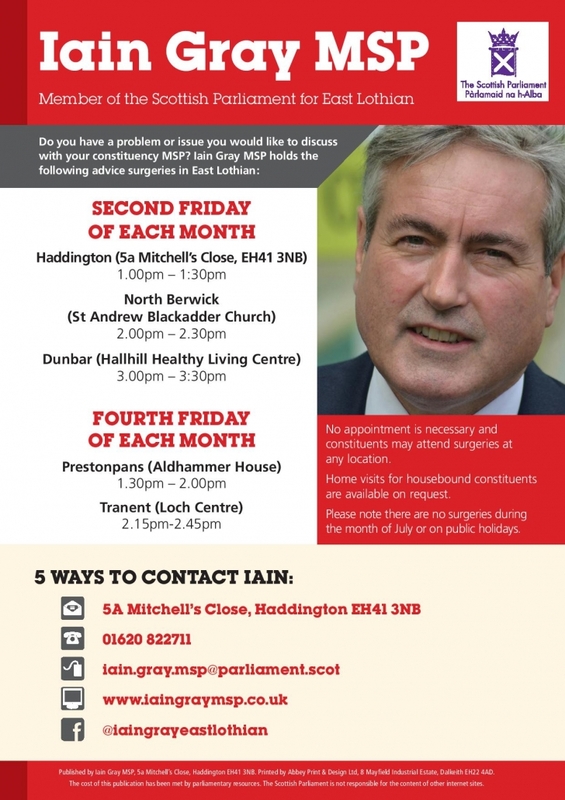 The Haddington surgery at his constituency office will take place as normal.